It's worth reading this paper. A good contribution by Steve Paulussen. 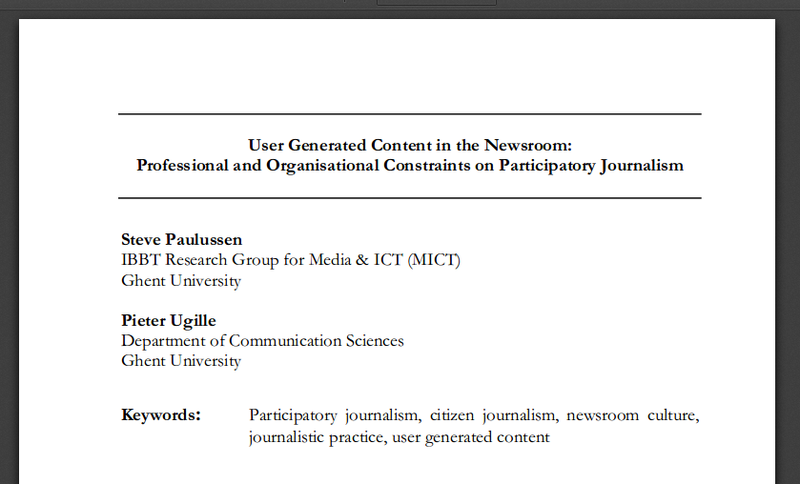 This is somewhat the beginning of the article about user generated journalism.